Many of the persons complaining had parked their vehicles in the Virgin Gorda Yacht Harbour parking lot and are now pondering how they will be getting home due to the road being dug up and closed. Many turned to Facebook to express their concern and disappointment. It was also reported that no one was directing traffic, causing much inconvenience to motorists. 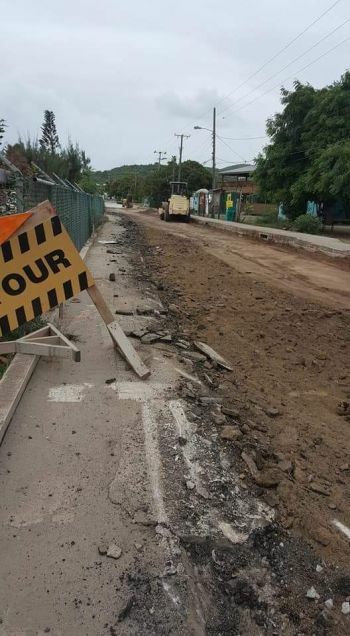 “Looks like Tortola is doing a good job to put all of downtown Virgin Gorda business, out of business this year, I don’t think they could do more damage if they had planned it, oh they did, LDB is closed this season for a reason,” another Facebook user commented. “This is simply crazy,” a Paola Moretti-Flax stated. Meanwhile, it was only around 4:25 PM today, June 20, 2017 that the Department of Information sent out a bulletin about the closure of Lee Road and other roads but did not give any times. 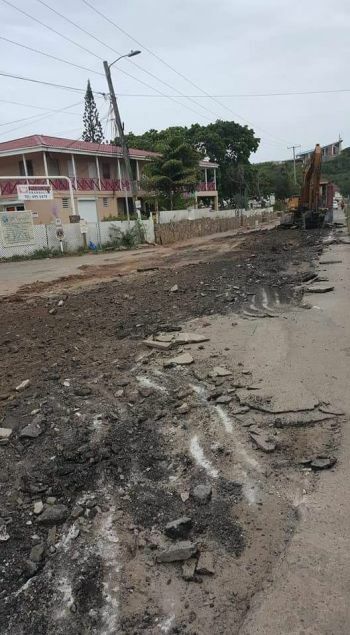 “The public is informed of the following traffic interruptions scheduled for Lee Road on Virgin Gorda. Friday, June 23 – Monday, June 26, Lee road will be closed from the fire station to Ocean View Hotel. Monday, June 26 – Wednesday, June 28, the road will be closed from Ocean View Hotel to Scotiabank. Motorists are asked to seek alternate routes, drive with caution and to follow all road signs. The Ministry of Communications and works apologises for any inconvenience caused,” the bulletin read. facts have a liberal bias. they dont have the work ethic, or the ability to negotiate, or the ability to coalesce good policy.